London: Kegan Paul, Trench, Trubner & Co, 1920. Cloth. Very Good. A solid, well-preserved copy of the uncommon 1920 1st English language edition (following the 1913 original printing in German). 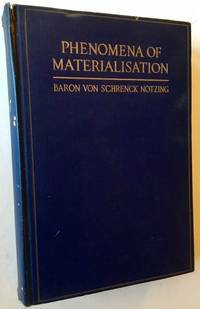 Tight and VG in its navy-blue cloth, with bright gilt-titling at the front panel and spine. Light wear to the spine ends, light scuffing along the spine. Otherwise very sharp and, internally, clean as could be, with no writing or markings of any kind. Thick octavo, 225 illustrations, including remarkable black-and-white "spirit" photographs, among others. Important early work in mediumship and telepathy. Port Townsend, Washington: Feral House, 2009. Cloth. Near Fine. The 2009 1st thus. #197 OF 999 COPIES SIGNED BY GENESIS P-ORRIDGE at the half-title. A very solid copy to boot. Tight and Near Fine in its dark cloth, with bright gilt-titling and insignia to the front panel and spine. One small bump at the front panel's top corner, otherwise clean as could be. 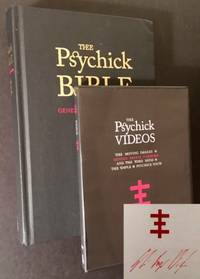 Thick octavo, also includes a pristine copy of the accompanying DVD ("Thee Psychick Videos"). London: Starfire Publishing, 2012. Cloth. Near Fine/Near Fine. 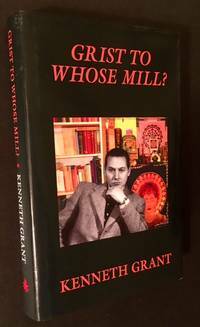 Kenneth Grant's first novel (written in 1952-53), "considered lost for many years and here published for the first time as a welcome addition to Grant's substantial and diverse body of work." Tight and Near Fine (with just a touch of cocking to the binding) in a crisp, price-intact, Near Fine dustjacket. Octavo, front cover, endpapers and frontispiece designed by Steffi Grant. York Beach, Maine: The Teitan Press, 2013. Decorative Cloth. Fine. 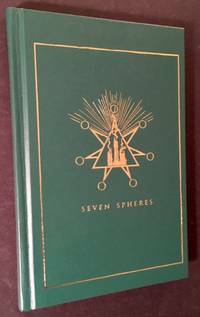 An immaculate copy of the 2013 stated 1st edition, #222 of only 500 numbered copies issued. 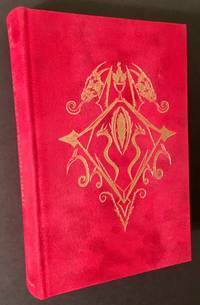 Tight and Fine in its rich red cloth, with bright, completely unrubbed gilt-insignia and titling along the front panel and spine. Blindstamped authors's initials at the front panel as well. Octavo, edited and with an Introduction by R.A. Gilbert. 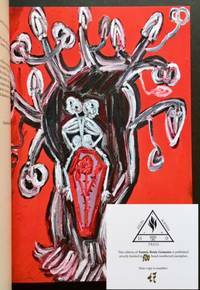 Primal Craft Occult Publications, 2015. Decorative Cloth. Fine. A pristine copy of the 2015 1st edition. 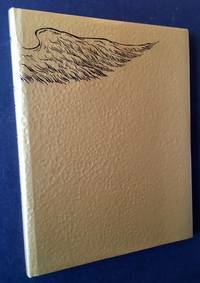 This, the "Dragon Flame Edition, consists of 999 copies (this being # 759) bound in lynnel thermos ibis, stamped in gold with the Gateway of the Dragon's Grail and the Seal of the Infernal Serpent". Tight and Fine, with brilliant gilt-insignia and titling along the front panel and spine. Thick octavo, the 2nd volume of Mark Alan Smith's "The Way of Sacrifice"
New York: Samuel Weiser, 1973. Cloth. Near Fine/Near Fine. 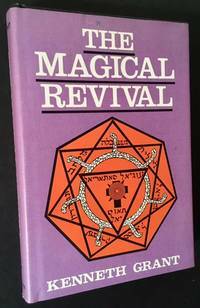 An impressive copy of the 1973 stated 1st American edition. Clean and Near Fine in a crisp, price-intact ($7.95), Near Fine dustjacket. Octavo, "a detailed analysis of certain occult traditions which existed long before the Christina epoch, survived its persecutions and anathemas and reappeared in recent times with renewed vigour." (From the front jacket flap). Nephilim Press, 2014. Hardcover. Fine. An immaculate copy of the 2014 numbered, limited 1st edition. #238 OF 1,000 COPIES ISSUED. Tight and Fine in its dark-green cloth, with pristine gilt-rule and insignia to the front panel and gilt-titling along the spine. 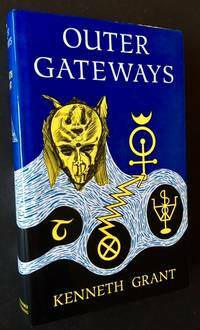 Octavo, chapter headings include "Hermetic Cosmology", "Ritual Preparation", "Talismans", etc. Ixaxaar Occult Literature, 2010. Decorative Cloth. Near Fine. Namtaru Creations/A. Ingman. An all-but-pristine copy of the 2010 1st edition. "This work is published in two strictly limited hand numbered editions. 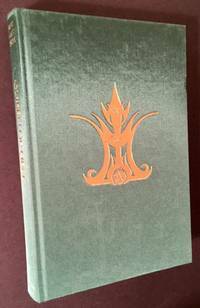 This, the standard edition of 999 copies (this being #850), is bound in shimmering green cloth, stamped in gold with the Crown of Hecate". Tight and Near Fine, with one tiny bump at the front panel's fore-edge. Thick octavo, designed by M.A. Smith and A. Ingman, artworks by Namtaru Creations, sigils by A. Ingman. 'The Left Hand Path', 2010. Cloth. Fine/Fine. A flawless copy of the 2010 1st edition. Tight and Fine in a bright, Fine dustjacket. 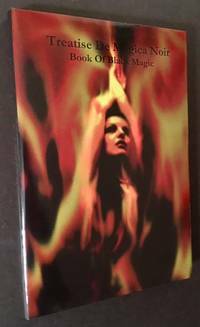 Octavo, written by Winter Laake, disciple of Anton LaVey. 'The Left Hand Path', 2009. Cloth. Fine/Fine. An as new copy of the 2009 stated 1st edition. Tight and Fine in a crisp, Fine dustjacket. Octavo, written by Winter Laake, disciple of Anton LaVey. Ixaxaar Occult Literature, 2011. Decorative Cloth. Near Fine. Namtaru Creations/A. Ingman. A handsone, near-pristine copy of the 2011 1st edition. "This work is published in two strictly limited hand numbered editions. 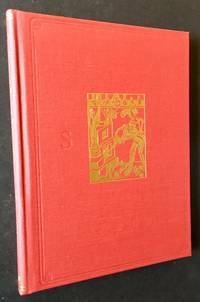 A standard edition of 999 copies bound in shimmering midnight blue cloth, stamped in gold with the Seal of the Perfect Red King of Sulphur; and a special deluxe edition of 66 slipcased copies bound in full bloodred goat, and gold stamped with the Cardinal Crown of Thaumiel, signed and sigilised by the author." This is the standard edition, #119 of 999 copies issued. One small, inconspicuous scuff mark at the front panel, otherwise immaculate. Thick octavo, the second volume of the "Trident of Witchcraft" series. "Designed by M.A. Smith and A. Ingman, Artworks by Namtaru Creations, Sigils by A. Ingman"
Primal Craft Occult Publications, 2012. Cloth. Near Fine. Namtaru Creations. A very impressive copy of the 2012 stated 1st edition. "This work is published in two strictly limited hand numbered editions. 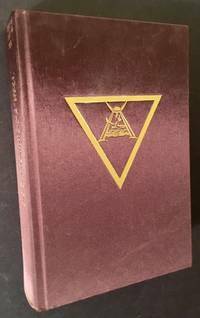 A standard edition of 999 copies bound in shimmering mahogany silk, stamped in gold with the Seal of the Book of Forbidden Wisdom; and a special deluxe edition of 73 slipcased copies bound in full earthern olive goat, and gold stamped with the Seal of the Scorpion, signed and sigilised by the author." This is the standard edition, #370 of 999 copies issued. BUT THIS COPY IS ALSO SIGNED AND SIGILISED BY THE AUTHOR MARK ALAN SMITH AT THE LIMITATION. Several very small, inconspicuous marks at the panels but this remains an all-but-pristine copy. Thick octavo, the third volume of the "Trident of Witchcraft" series. "Designed by M.A. Smith and E.J. Hazell-Smith, Artworks by Namtaru Creations, Sigils by Namtaru Creations"
'The Left Hand Path', 2011. A pristine copy of the 2011 stated 1st edition. Solid and Fine in a crisp, Fine dustjacket. Octavo, written by Winter Laake, disciple of Antony LaVey. London: Fulgur Limited, 2011. Cloth. Fine/Fine. A pristine copy of the 2011 deluxe edition. #188 OF 640 COPIES ISSUED IN GOLDEN CLOTH. Tight and Fine in a crisp, Fine example of the "golden" dustjacket. Quarto, "This golden tome represents the Gold of the Alchemists: it is the Philosopher's Stone and Distillate of the Process. 'Coagula' is the second volume in the Tela Quadrivium series". (From the front jacket flap). Los Angeles: Nash Publishing, 1972. Hardcover. Near Fine/Near Fine. A crisp, very sharp copy of the 1972 stated 1st printing. Tight and Near Fine in a bright, price-clipped, Near Fine dustjacket. with just a faint hint of creasing --and one or two tiny closed tears-- along the top-edges. 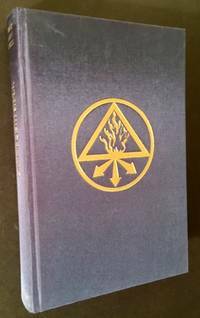 Thick octavo, "The first complete and authoritative inside look at witches and witchcraft as told by the practicing leaders of a coven. 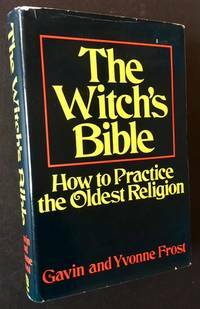 This unique guide covers the entire religious-mystical-occult field-- in a style that is as interesting and readable as it is instructive" (from the front jacket flap). Somerset, England: Privately Published, 2006. Cloth. Fine. 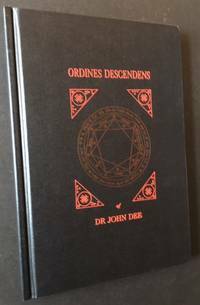 A pristine copy of the 2006 reproduction --in itself very uncommon-- and "record of a previously unknown lost volume of occult instruction originally written by the Elizabethan English scientist and oocultist Dr. John Dee (1527-c.1608)". #60 OF AN EDITION OF ONLY 236 COPIES, so indicated by the publisher's armorial bookplate/limitation plate affixed to the front pastedown. Tight and Fine in its dark cloth, with matching insignia (identical to the bookplate's) and titling in dramatic red relief. Tall quarto, described (at length) and edited by Peter W. Mills, who brought this reproduction to life by way of his "devout Roman Catholic friend" who had owned the original manuscript. London: Skoob Books, 1994. Cloth. Fine/Near Fine. A near-pristine copy of the 1994 1st edition. Clean and Fine in a crisp, Near Fine to Fine dustjacket. Octavo, 264 pgs. Aeon Sophia Press, 2012. Cloth. Near Fine. Angela Edwards. The 2012 1st edition. #47 OF AN EDITION "STRICTLY LIMITED TO 500 HAND NUMBERED EXEMPLARS". Tight and Near Fine in its purple cloth, with bright, completely unrubbed gilt-insignia and titling along the front panel and spine. Just a touch of very faint, occasional spotting to the panels, otherwise clean as could be. And internally immaculate, with no writing or markings of any kind. Tall quarto, crisp color reproductions of the art of Angela Edwards thruout. Seattle: Trident Books, 1999. Cloth. Near Fine/Very Good +. Louis Breton. A handsome copy of the 1999 numbered, limited edition. #243 OF ONLY 1,000 COPIES ISSUED. Tight and Near Fine to Fine in a crisp, VG+ dustjacket, with very light creasing --and just a touch of soiling-- along the panel edges. Octavo, fold-out frontispiece, 69 high-quality engraved illustrations by Louis Breton. 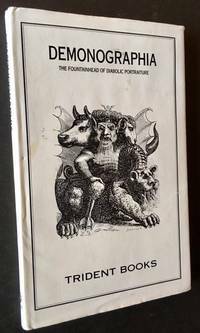 "Being a complete collection of the diabolic portraiture designed by Louis Breton for J.A.S. Collin de Plancy's 'Dictionnaire Infernal', depicting many of the demons & dignitaries named in the classic literature of medieval magic and sorcery. Presented with a translation of the descriptions of the demons from the original French text, rendered by Prudence Priest" (from the title page). 'The Left Hand Path', 2011. Cloth. Fine/Fine. The 2011 signed/limited (and stated 1st edition). #42 OF AN UNSPECIFIED NUMBER SIGNED BY THE AUTHOR WINTER LAAKE, ONE-TIME DISCPLE OF ANTON LAVAY, on the title page. A pristine copy to boot. Tight and Fine in a crisp, Fine pictorial dustjacket. Octavo, "Ave Satanas" also written by the author next to his signature.